and The Power of Bingo (scroll down). Anyway, so I made a bingo game as I find bingo to be a good way of practising reading and bingo is well, an awesome game in general. Download my bingo for this topic here, for free. There are 10 cards in the set, all random and include a 'free space'. 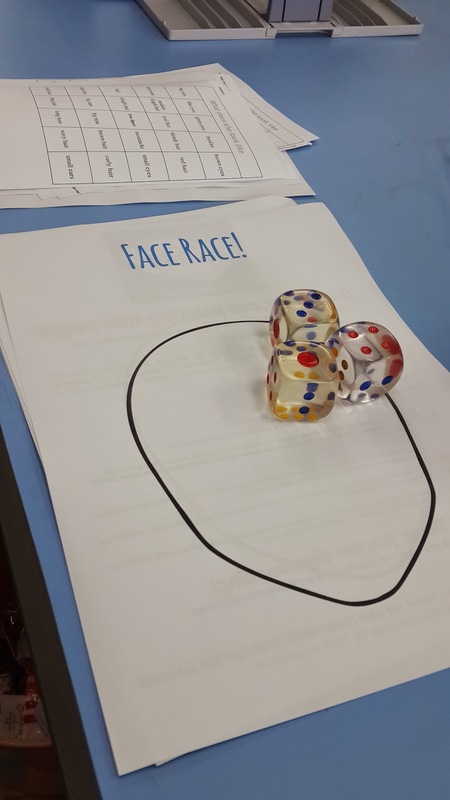 Next, we played a 'face race' which is really simple and I got the idea from my favourite teacher resource website Twinkl. You can download their template for the game but it's also very simple, you don't need the worksheets. All you need for this activity is to have a dice for each student or each pair. The pair take turns rolling their dice and each number on the dice corresponds to a facial feature they can draw. 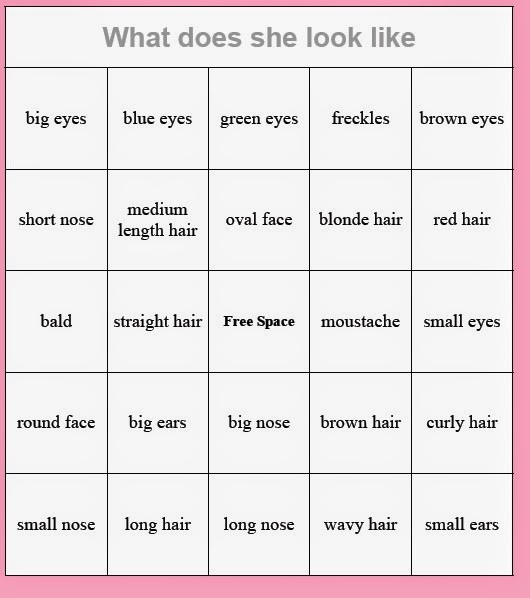 So, the first person to get all 6 sides of the dice (which correspond to 6 different facial features) is the winner. 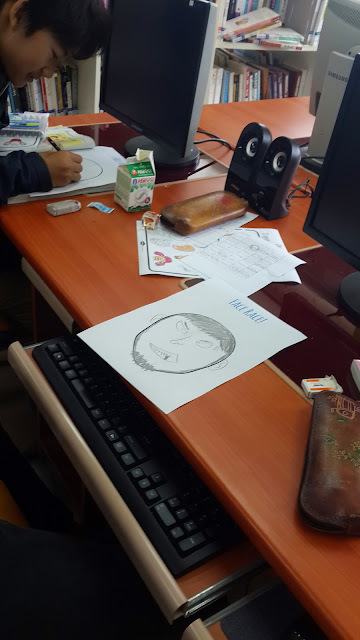 They were also instructed to draw however big or small or detailed they liked. 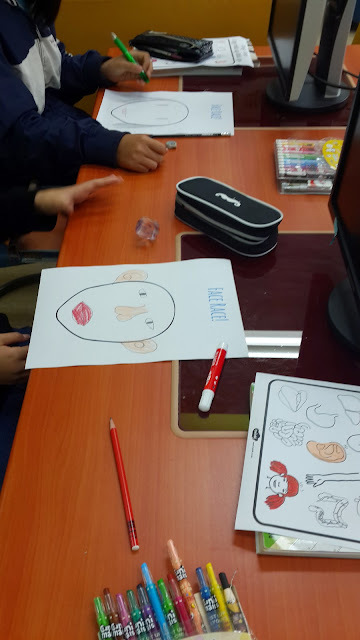 After that I asked the students to each colour their faces and make 1 sentence to present to the class. Such as "She has short brown, straight hair." etc. A simple lesson that has a game and practices the facial features and vocabulary. If you don't have dice you can print and make at this link. Last, for a closing activity I did an 'I spy with my little eye' -The Body edition which I downloaded from Twinkl. The students didn't know all the organs but knew some and many found it interesting, As the teacher you simply call out a word and they colour. I called out leg, foot, eye, mouth, etc....it was another good practice of vocabulary for this topic. Download here. ( You can print in black and white easily).